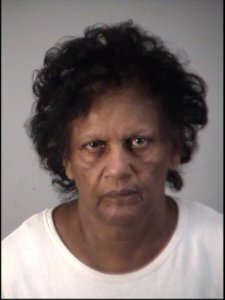 The Clermont Police Department arrested Ms. Soebhagwatie Changoer, a Clermont resident, born 09/14/1954, for one count of abuse of an elderly person. On 03/28/2019, at approximately 11:00 a.m., Clermont Police Officers responded to Crane’s View Lodge, located at 1601 Hooks Street, in the City of Clermont, for a report of elder abuse. Crane’s View Lodge is a senior living community which offers assisted living and memory care. Officers met with an investigator from the Department of Children and Family (DCF) as well as the victim’s son, Mr. Richard Bova, who was concerned that his mother, aged 94 years, was being abused by her caregiver, Ms. Soebhagwatie Changoer. Changoer works part-time at this facility. Mr. Bova advised that he placed a “nanny cam” inside his mother’s room which captured video of alleged incidents of abuse. Officers reviewed the video, which showed Changoer roughly handling the victim by shaking her on or around her shoulders and arms, and also by pushing her head down onto her pillow from a seated position with an open hand. Mr. Bova notified Crane’s View Lodge management who suspended Changoer prior to police notification. The victim reportedly did not require medical attention from these incidents of abuse. Officers made contact with Changoer at her residence, located on the 1300 block of Laurel Hill Drive in Clermont. Officers advised her of her Miranda rights and she agreed to speak with the officers. Following the officer’s investigation, Changoer was arrested and transported to the Lake County Jail, charged with one count of abuse of an elderly person.